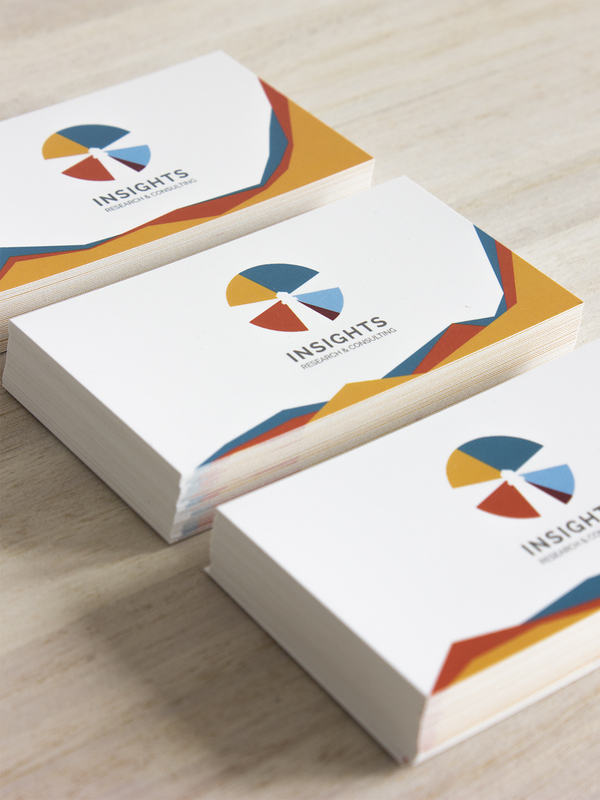 Sergio Figares designed these business cards for a consulting company, Insights Research & Consulting. The company offers two main services: market research and business advisory (consulting). 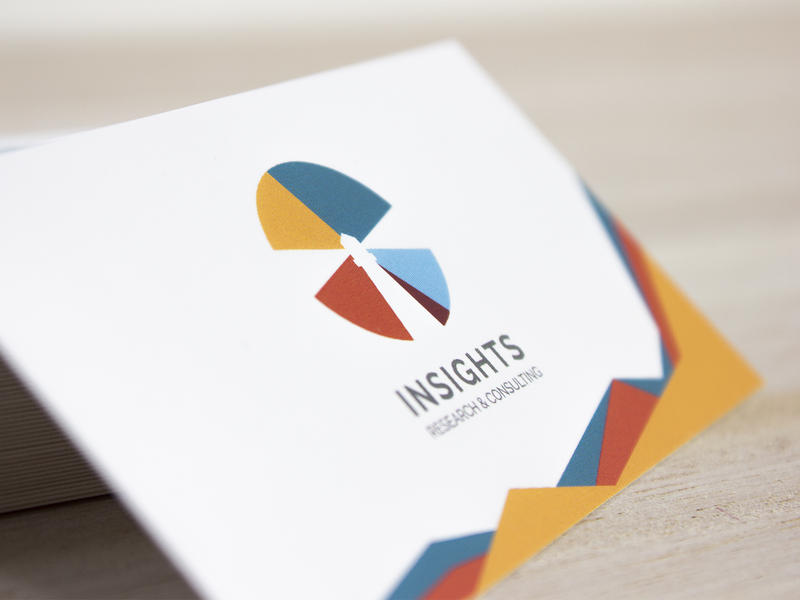 The company logo was created by joining these two concepts together, showing a pie chart and a lighthouse in the same symbol. 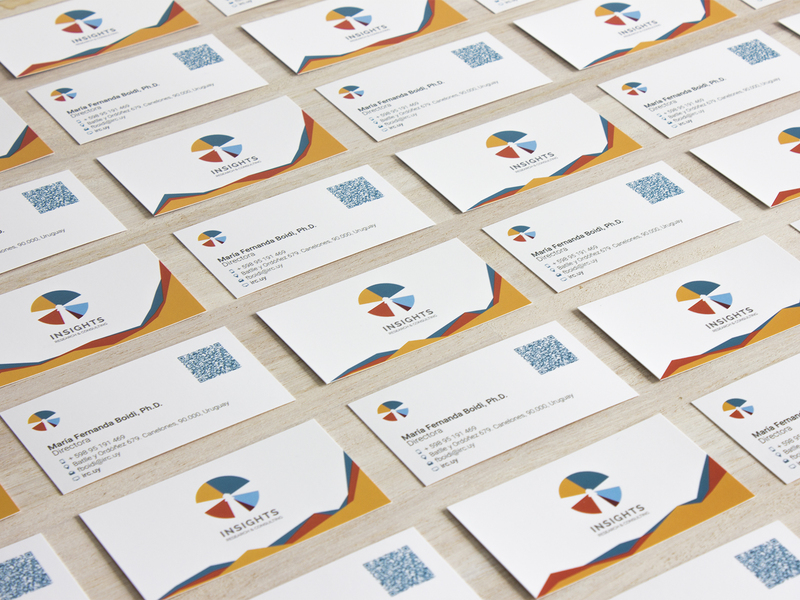 Sergio had some ideas for the visual identity in general. A QR Code is also included for the convenience of scanning and adding the contact details. 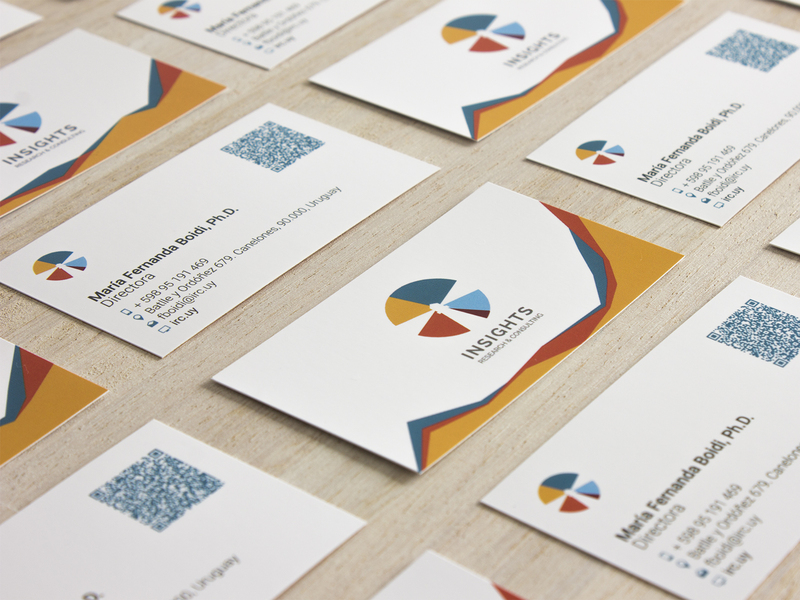 These 350gsm matt laminated business cards were printed by Insprinta.